What if you are rushing to catch a flight and you are unable to hail a taxi off the street during peak hours and worse still, the taxi booking hotline is always busy! Don’t fret. 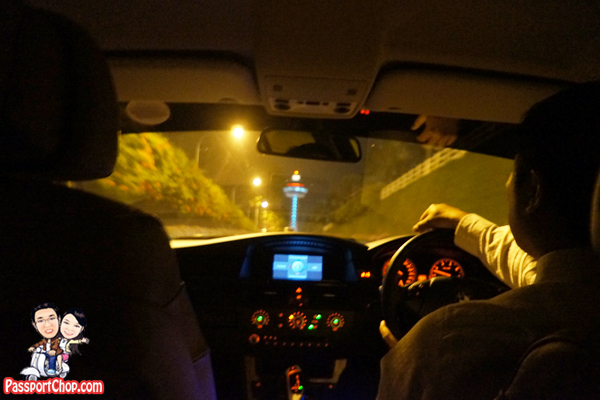 There are always number of on-demand limousine services in Singapore that you can tap on (and yes literally on with their mobile booking app!). 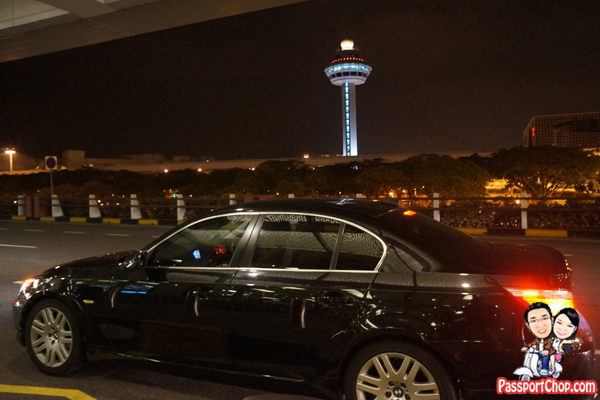 Blacklane is one of such on-demand limousine chauffeur service that is available in Singapore and 130 other cities in 45 countries. Blacklane limousine transfers can be booked up to fifteen minutes before your required pick-up time so in urgent scenarios like the one I wrote above, Blacklane can be a life-saver :-). Blacklane’s limousine service can be booked easily using its website or free smartphone Blacklane app (available for both Android and iPhone users). 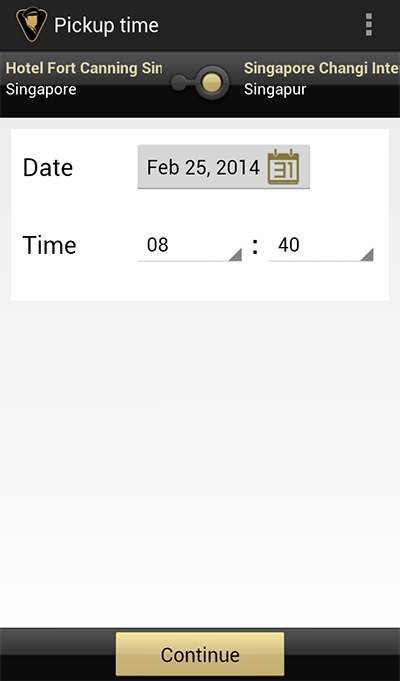 With just a few taps, you will be able to book your limousine. The app is very easy to use – to start, just specify your pick-up location. Your current location will be automatically detected via GPS on the home screen. The pick-up address will automatically be set to this address. The Blacklane app location detection is based on addresses on Google Map – thus if a hotel or attraction is very new, its address might not show up. For example, in our case, when we tried to book a Blacklane limousine for pick-up at one of Bangkok’s soi (alleys), it is unable to detect its location. There is a solution to this -> If you cannot find the address you are looking for, you should enter a nearby address in the booking form and add the address you would actually like to be picked up from in the “Additional comments for your chauffeur” field. Bookings can be made around the clock, online or with the Blacklane app. After specifying your pick-up location and booking period or desired destination, select your preferred date and time of pick-up. Then you can can choose from one of three classes of vehicles (Business Class, Business Van /SUV, First Class) at a binding fixed price including all taxes and fees. Gratuities, waiting time, order processing fees, and detours are all included in Blacklane’s rates. 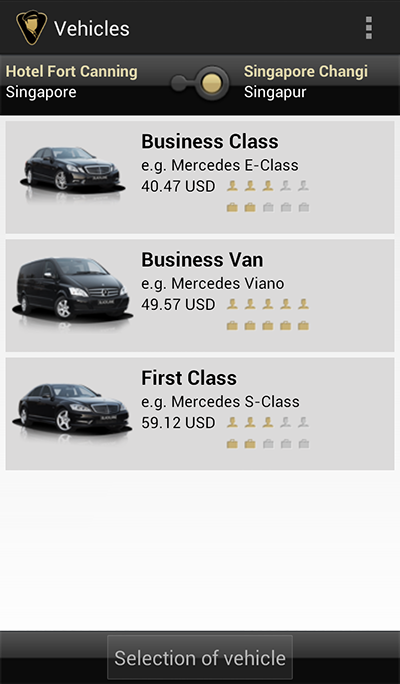 Blacklane offers three classes of vehicles at slightly different prices: Business Class vehicles (e.g., Mercedes E-Class, Audi A6, or BMW 5 series, Lincoln Town Car), Business Vans/ SUVs (e.g., Mercedes Viano and VW T5, Cadillac Escalade), and First Class vehicles (e.g., Mercedes S-Class, Audi A8, or BMW 7 series). Blacklane does not currently offer stretch limousines. As seen in the prices below, booking a Blacklane limousine for airport transfer in Singapore will typically cost more than if you were to hail a taxi off the street. But in times when you are unable to find a taxi, Blacklane’s services can be very useful. The next step is to book the limousine and payments can be made by credit card. After booking, customers will receive a confirmation of their order as well as their chauffeur’s contact details. Your bookings are all recorded on your Blacklane account (available as downloadable invoices). Blacklane provides an attentive service, including flight tracking as part of the airport and train-station meet & greet, email and text-message updates of your driver’s location, as well as a flexible, as-directed, hourly service. 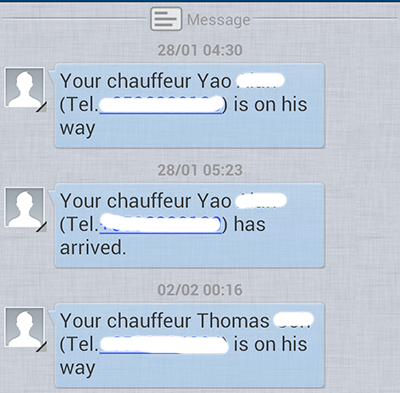 You can get the latest info from your driver via short text messages, not just emails or push notifications. This is perfect if you aretraveling abroad and want to avoid expensive internet roaming costs, but still need to be informed when your driver is on the road and reaches your pickup location. Just check the box (Please inform me via text message when my driver is on the way/has arrived) in the booking process when preparing your next ride! So who says limousines are only for celebrities and diplomats – you too can travel in style in a black luxury sedan with a friendly chauffeur at your doorstep. 🙂 While it might actually be cheaper to take a taxi for airport transfers in Singapore, in some cities where taxi services are very expensive e.g. London, Melbourne, using Blacklane limousine services might actually be more affordable! And you get to skip the airport taxi queues – do some price comparison using the Blacklane app or their website. 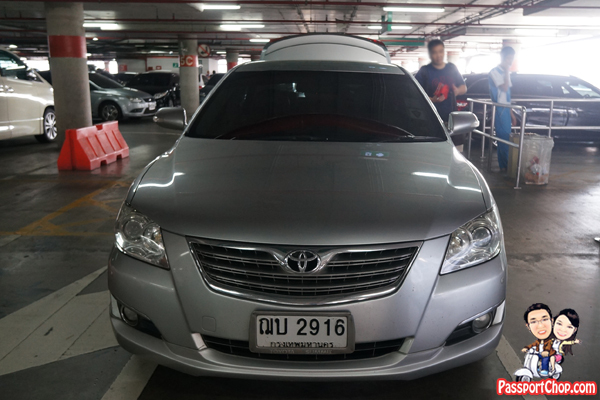 During our recent visit to Bangkok, we booked Blacklane limousine services in view of concerns about the unrest and ongoing protests that might disrupt traffic to the airport and it might be hard to get a taxi. It took some time to secure the booking as it seemed as if everyone in Bangkok had the same idea as us! Blacklane’s limousine services were fully booked for some of the days! The dedicated staff at Blacklane’s headquarters in Berlin even called me (I was in Singapore) all the way from Berlin to reassure me and confirm my bookings – we were picked up in a comfortable Toyota Camry :-). 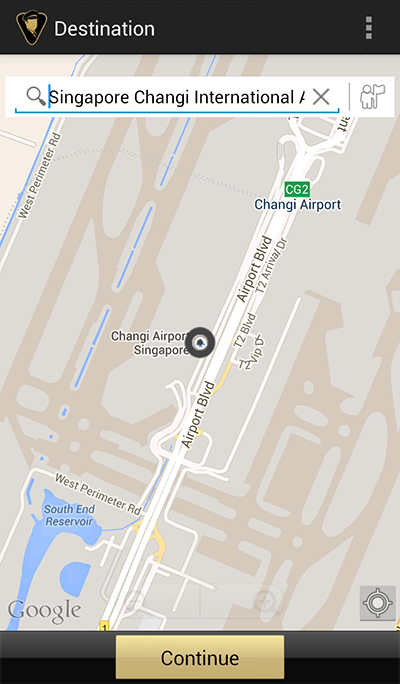 Airport meet and greet services are available with your Blacklane booking (for an additional fee). Besides airport transfers, you can book Blacklane’s limousine services for single trips or, should you need a driver to take you to two appointments in different locations, by the hour. This will be especially useful during incidents of train breakdowns and you need to get to a meeting as soon as possible – if you want to get away from the crowds gathering for the bus bridging services and long queues at taxi stands, booking a limousine at Blacklane might be your way out!